Planets which are categorized by having large and deep bodies of water. Notes I'm pretty set here, a true sedentary colon. 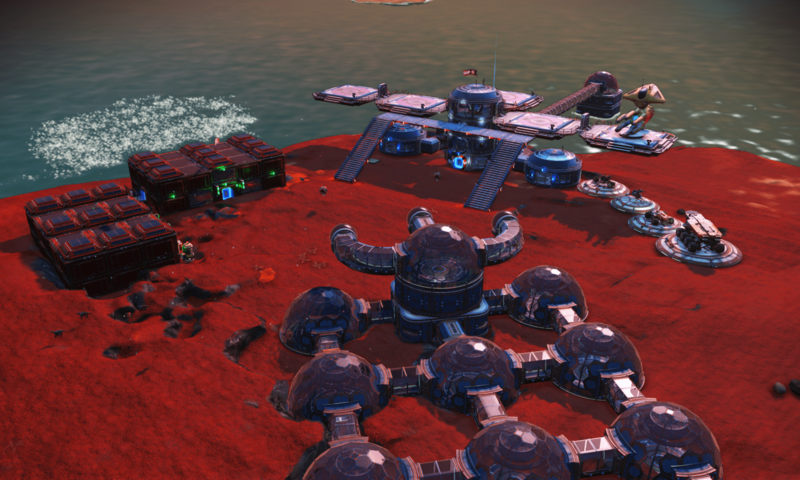 The AGT Ambassy is finished at 99% (still have to build some rest rooms). 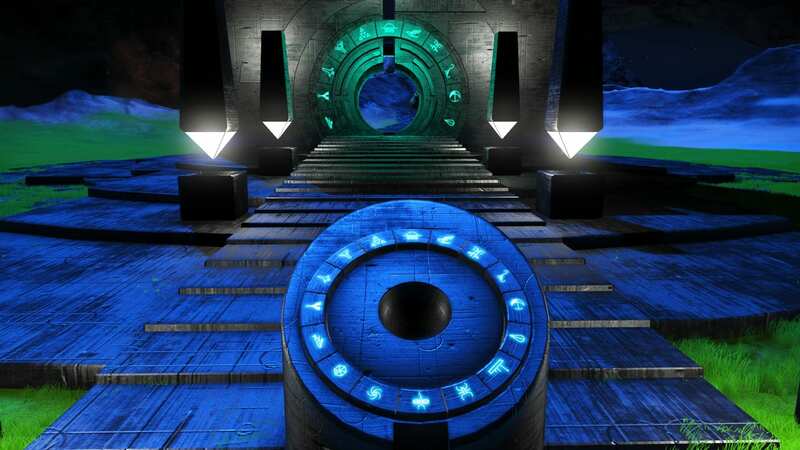 A station around the portal on Prusset is to build. Anybody is welcome ! Base Description Patri Friedman Seastead. 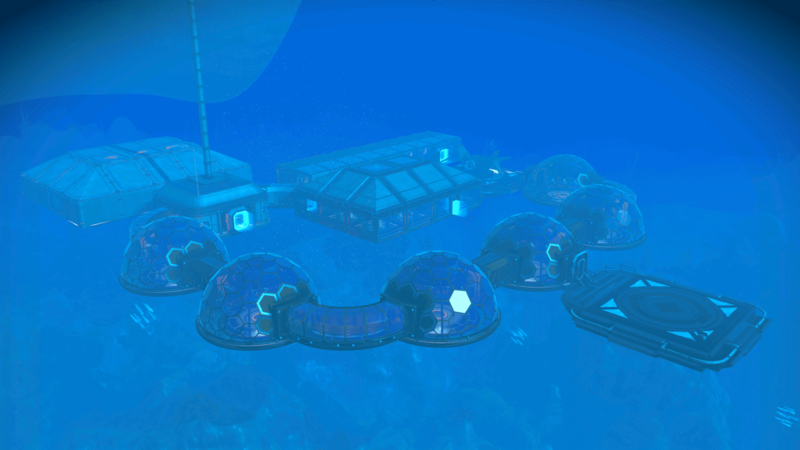 A small underwater research outpost dedicated to studying the mysteries of the aquatic abyss. 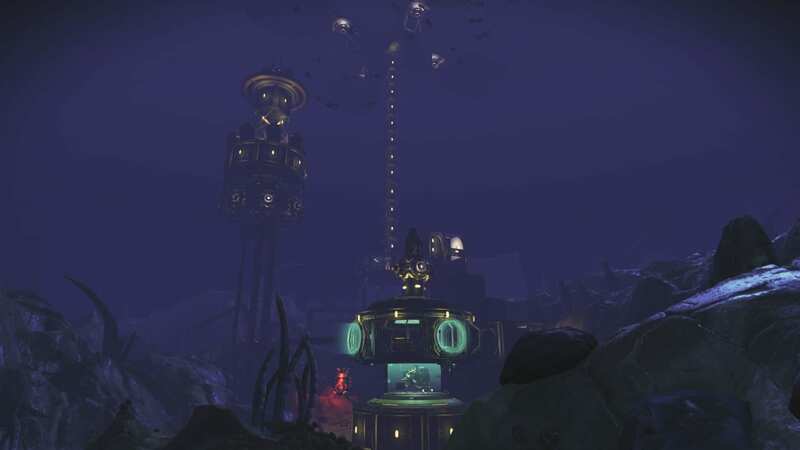 Base Description This is an underwater Liquid Explosive farm featuring a Nautilon and lush underwater biome. 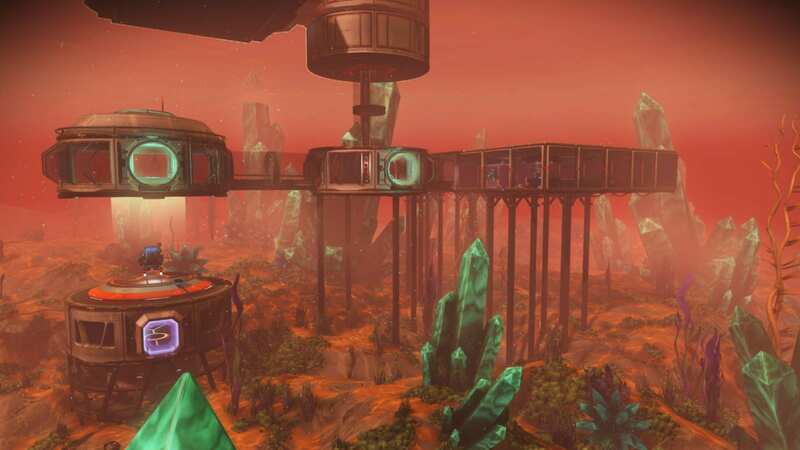 Able to produce 15,000 Fungal Mould, 5,000 Cactus Flesh, and 625 Mordite, enough for 25 Liquid Explosive. Put simply, one Bio-Dome harvest yields one Liquid Explosive, up to 25. With an additional 175 Mordite, a full harvest yields a replantable 25 Liquid Explosive farm. 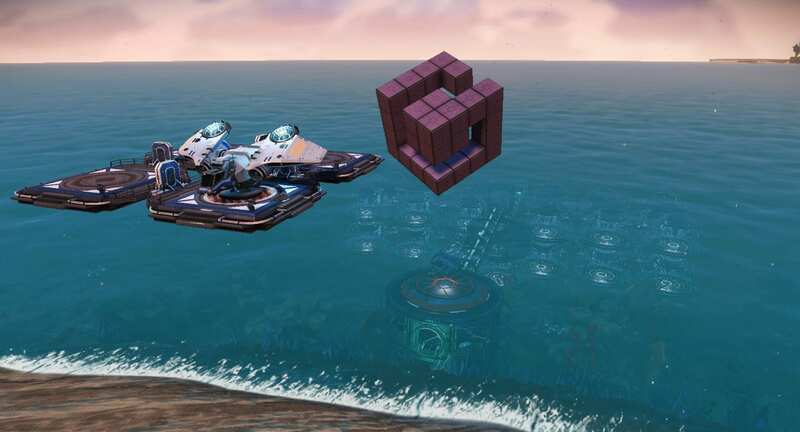 Enjoy the cube art and thanks for visiting! 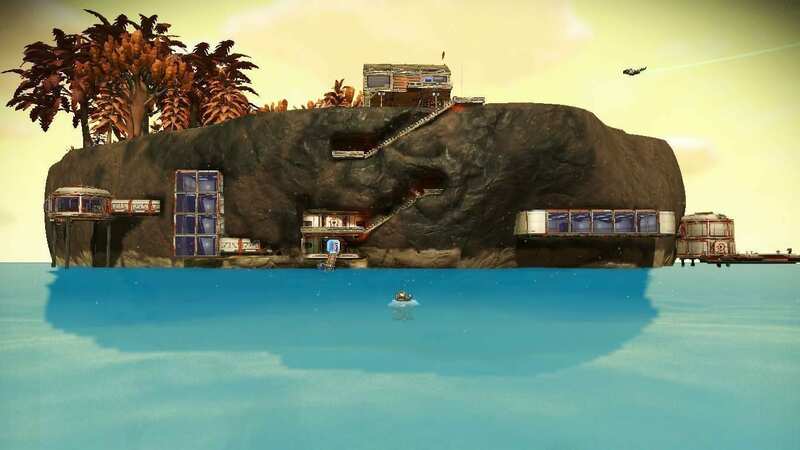 Notes 80% of the base is hidden underground a submarine cave system. 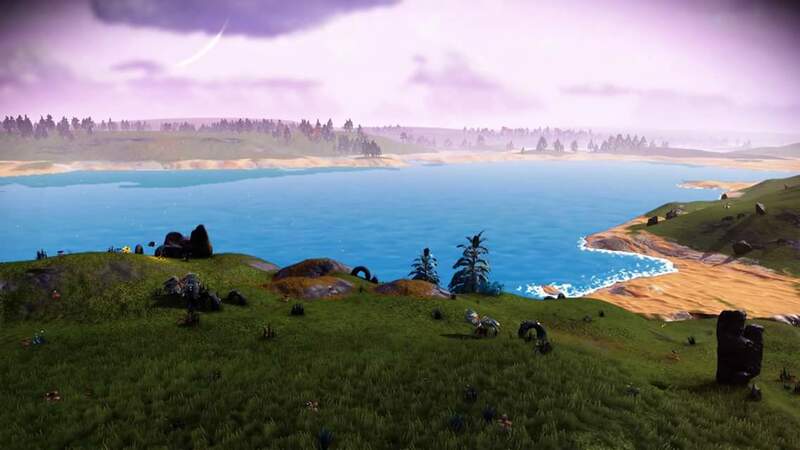 Notes A planet with a Ocean, free to build on it and to scan/rename. 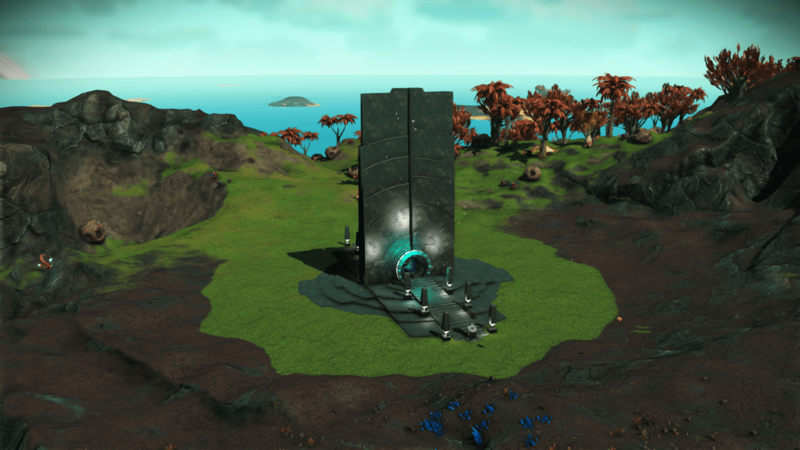 Have fun in this System. 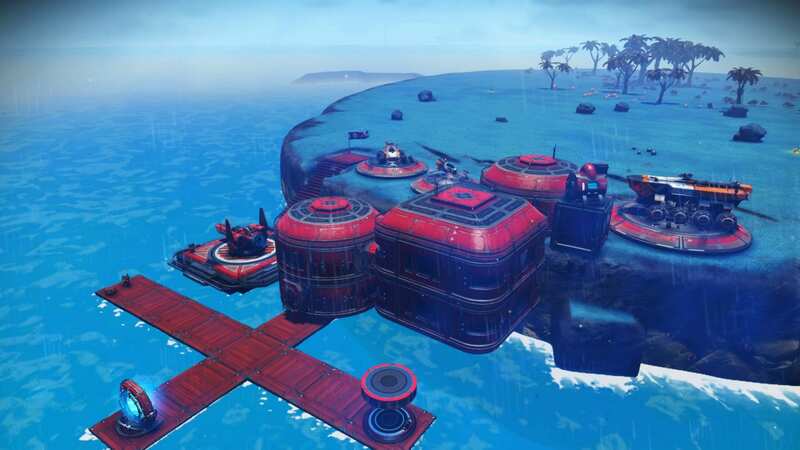 Base Description Lake front vacation home. Notes Rolling green hills, lush forests, blue oceans. 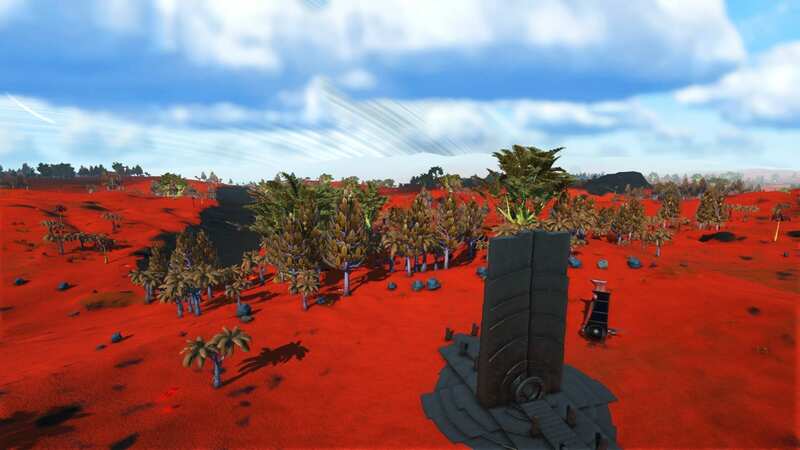 Probably one of the most earthlike serene planets I've visited. Plenty of lakefront real estate available.